Our Savior’s is a congregation of 500 baptized members located in Warren, Minnesota. Melo is our outreach country church with an active 75 member congregation. We are a Pastor-centered congregation and church. We offer a variety of classes, activities, and programs as well as a weekly worship service at Our Savior’s and a weekly service at Melo. OSL is a church where individuals matter and relationships are real and Jesus is very, very good! There is a place for you at OSL and Melo! 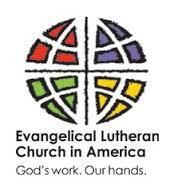 We are affiliated with the Evangelical Lutheran Church in America (ELCA) and the Northwestern Minnesota Synod of the ELCA, through whom we are ministry partners in mission, outreach, evangelism, education, and service ministries throughout the region and across the globe.